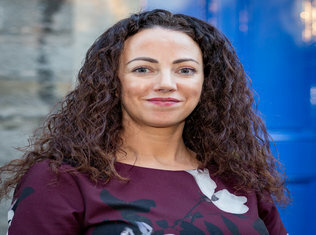 Rachael joined DCU Educational Trust in June 2018 as Director of Development, where she is responsible for developing and implementing the Trust’s overall fundraising strategy. She also supports the CEO in developing and driving the Trust’s organisational strategy and in furthering DCU’s mission to transform lives through education, research, innovation and engagement. Before joining the Trust, Rachael led the corporate and major gift fundraising team at Concern Worldwide, Ireland’s largest humanitarian and development aid agency. Prior to her move into the not-for-profit sector, Rachael had an extensive career in financial services and trained as an accountant with KPMG. Rachael is a fellow of Chartered Accountants Ireland, is a qualified financial advisor as designated by the Institute of Bankers Ireland and she has an MBA from University College Dublin.